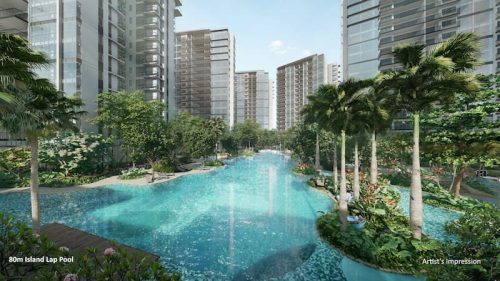 9 March 2017, Singapore – International property solutions provider Lendlease today announced that the highly-anticipated Park Place Residences at PLQ is targeting to launch on 25 March 2017. The condominium is part of the centrally located mixed-use development, Paya Lebar Quarter, which also includes a retail mall and three office buildings. Lendlease also unveiled prices of the units, with 1-bedroom units starting from $780,000. Residents can look forward to a seamless, integrated and progressive lifestyle experience, enhanced by an array of services that will be provided by the condominium. The showsuite will be open to the public from this Saturday, 11 March 2017. Residents of Park Place Residences at PLQ can look forward to great doorstep convenience as part of the entire integrated development. 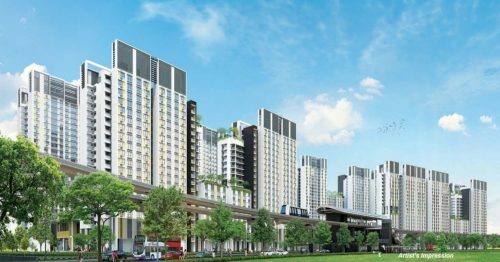 With direct accessibility to Paya Lebar MRT Interchange, the excellent transport connectivity can be best represented by the numbers “2266” – a 2-minute walk to 2 MRT lines, 6 stops to Central Business District and 6 stops to Changi Airport. In addition, the almost 4-hectare Paya Lebar Quarter precinct will be a key catalyst to the Urban Redevelopment Authority’s masterplan to transform the 12-hectare Paya Lebar Central into a regional business hub. Given these strong project attributes, the 429-unit condominium is attractively priced: 1-bedroom apartments, which comprise 117 units, will be priced from $780,000. 234 units of 2-bedroom apartments – the unit type with the highest proportion – will be priced from $1 million. There will be 78 units of 3-bedroom apartments, and they will be rolled out at a starting price from $1.6 million. 25 March 2017 will mark the first phase of sales for the project. While Lendlease is putting up all units of Park Place Residences at PLQ for selection, it is intending to sell about 40% of its stock as part of its first release. The decision on units to be released will be made once Lendlease has assessed market demand. 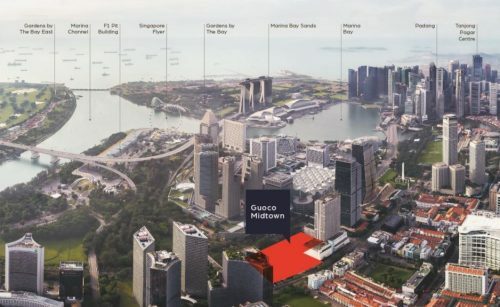 Lendlease shared that they plan to retain the remaining units and release them in tandem with future announcements about the integrated development. Such announcements include upcoming news of the commercial towers, retail mall, as well as the larger Paya Lebar Central area. 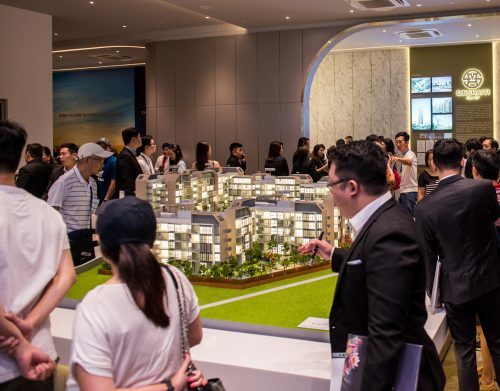 At the showsuite, in addition to being able to view the physical show units of the one, two and three-bedroom units, visitors can also use the virtual reality (VR) technology available to take a 3D virtual tour around the Paya Lebar Quarter precinct. This includes experiencing the connectivity to the retail and office components, the public realm as well as how the development links to the Paya Lebar MRT interchange. Park Place Residences at PLQ has been awarded the Building and Construction Authority (BCA) Green Mark Award (Platinum). With this, residents can be assured of a sustainable environment that enhances comfort, health and well-being, as well as reduced utility bills through energy and water efficient designs. As part of Lendlease’s commitment to enhance the lifestyle experience, residents will be able to enjoy car-sharing services offered by the precinct. The car sharing-vehicles will be located within the Paya Lebar Quarter retail mall carpark. Residents who wish to use a car will simply have to make a reservation on the appointed car-sharing provider’s website. On top of the strong transport accessibility and connectivity, the car-sharing service will also provide an alternative transport option for residents of Park Place Residences at PLQ. Furthermore, Lendlease is conceptualising a mobile application which will add to the seamless lifestyle experience for residents. The intent of the Paya Lebar Quarter Integrated Application is to offer residents seamless maintenance payment options, on-demand services, as well as the ease of booking facilities with a few taps of their phone. The Park Place Residences at PLQ showsuite will open from 11 to 20 March 2017.